I got the bug to make this after watching the LOTR films again. As I’m more confident in sewing now, I felt up to taking on a gown. 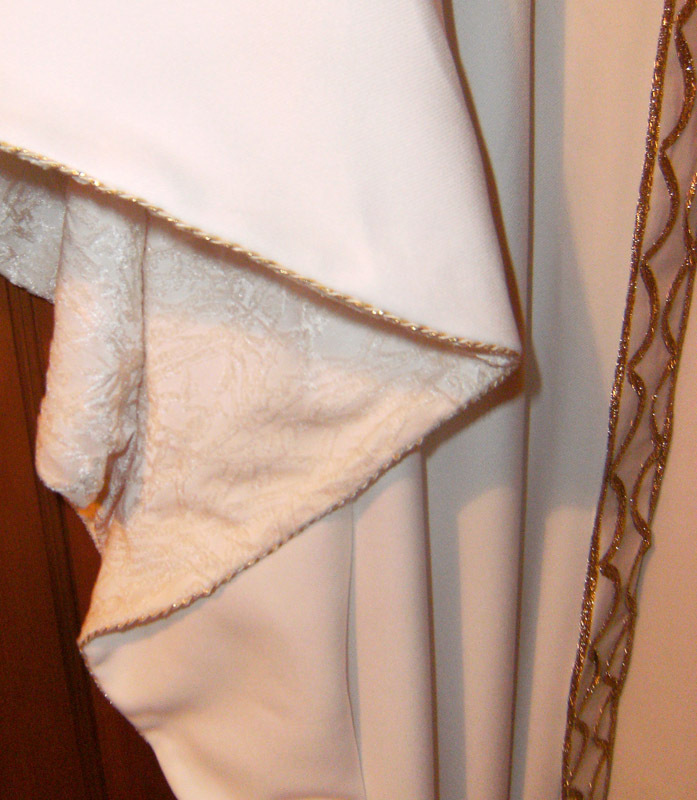 My choice was influenced by how affordable and easy to find the fabric would be, and the amount of detail involved. 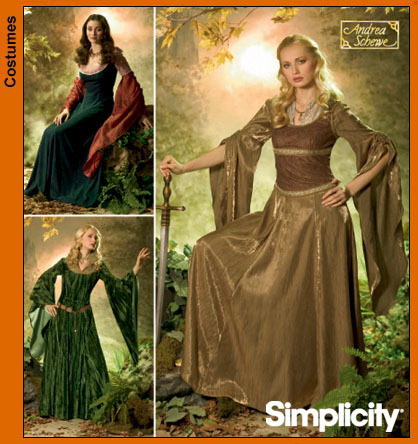 That meant my initial choice of Eowyn’s coronation gown was out of the question, since it would take far too much expensive brocade fabric, and it’s got embroidery all over the place! 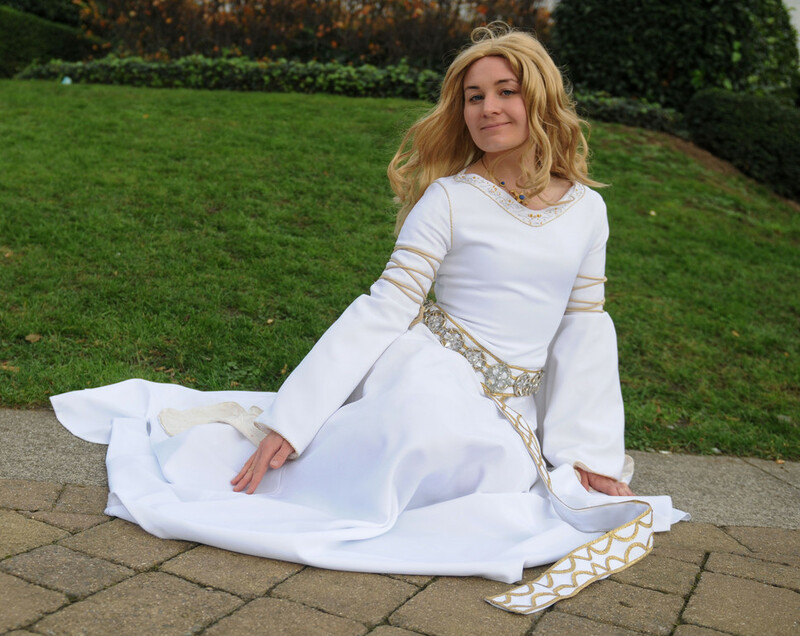 As a back up choice, the white wool dress was a great option, since I could easily and cheaply get the white fabric, and the hand sewn detail and accessories I had to make weren’t too intimidating, even though they were still time-consuming tasks. I used the convenient Simplicity 4940, which turned out to be not quite so convenient since it needed quite a few alterations for accuracy! I combined the pieces to eliminate the princess seams, and added a waist seam. My bodice only has side seams and a seam down the back for the zip, and my skirt just has side seams and seams at the centre front and back, which is how the dress in film is constructed. I also cut out the sleeves in one piece, and had to alter the neckline. Those were actually easy changes, and it worked out very well. The basic dress went together in a day. 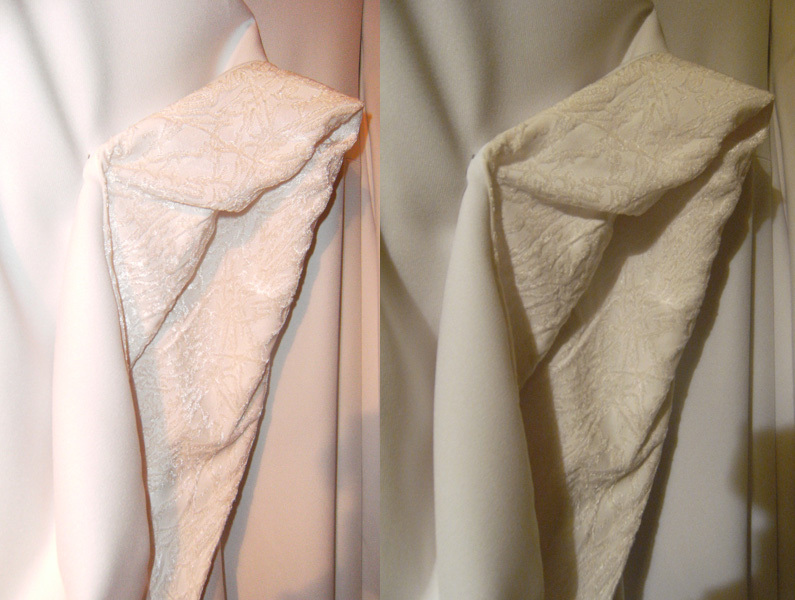 I used almost 7m of white gabardine, overlocking all the raw edges. The gabardine was unfortunately slightly see-through, so I had to line the whole dress. I used the same gabardine to line the bodice, understitching the neckline in place by hand once the embroidery was finished. The rest of the lining is a cream jacquard. It was bought to use for the sleeve lining and under-sleeves, but I had plenty of it, so used the remainder to make an underskirt too. 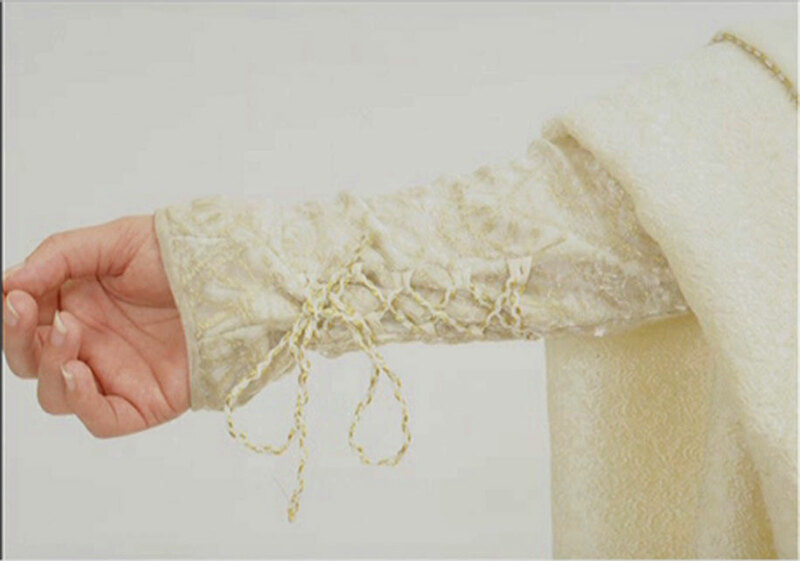 The under-sleeves also have an overlay of gold mesh, which I flatlined to the jacquard and treated as one layer. They’re designed to lace up at the wrists, so I altered a sleeve pattern to have two pieces, and assembled them with French seams, which encase the lacing loops. I decided I would wear white sandals I already owned with the dress, since the shoes were never really going to show, and if they did, the white sandals would match the outfit reasonably well, so I hemmed the dress allowing for the heels on those shoes. It’s just above floor length at the front, with a small train at the back. I decided to hem it by hand for a blind hem finish. I’ve also sewn a loop of cream cord into the centre back seam, and a small white button higher up, allowing me to bustle the train. With the basic dress completed, it was time for all the detail work! 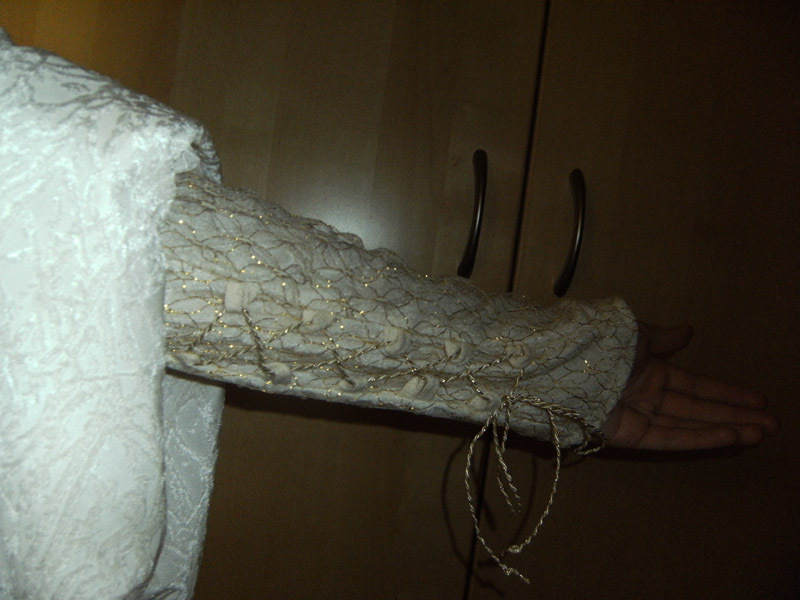 I got hold of gold and cream cord on ebay, which was hand sewn to the openings of the bell sleeves, the armscyes, and around the neckline. The same cord is also used to lace up the under-sleeves. 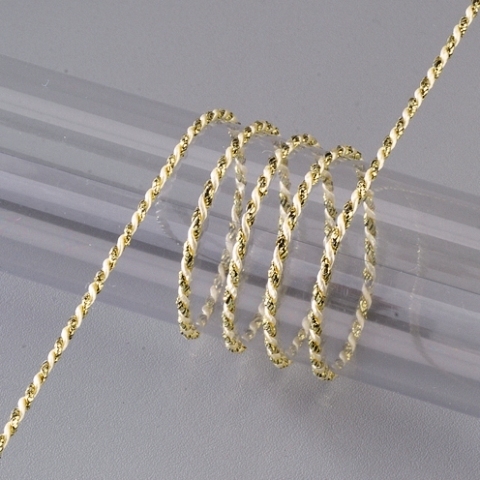 The cord on the upper arms is a thicker cream cord, and is tacked in position. The embroidery design at the neckline wasn’t difficult, just time-consuming, especially as I’d never attempted it by hand before. 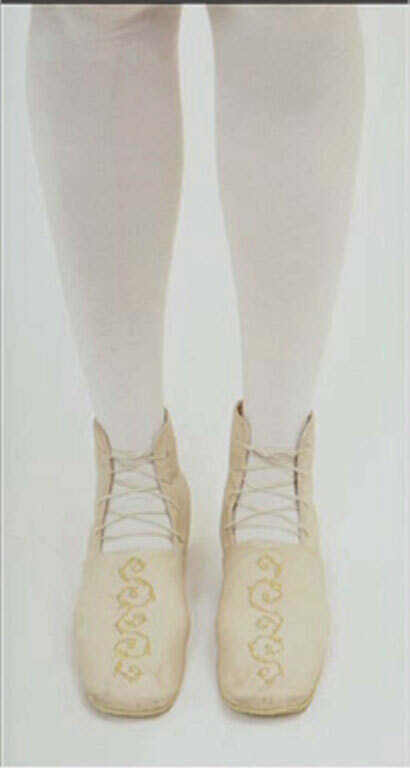 The design is executed in satin stitch for the gold sections, and stem stitch for the silver vines. The girdle belt is the same fabric as the dress, lined and interfaced. It seems to be cream in some images, but I decided I preferred it as white. There are two belt loops holding it in place at the sides, and a snap at the centre front to ensure it stays in place. It fastens at the back with hook and eyes. There’s almost precisely 10m of gold trim on it. The medallion belt was really awkward and quite a challenge to figure out! 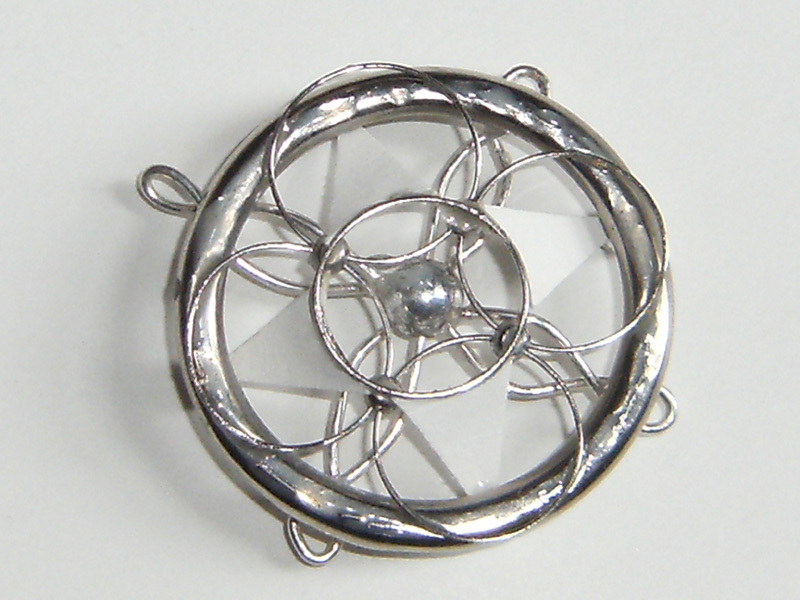 It’s made up of various silver rings, wires, beads, card and all glued together. The final pieces are sewn with clear thread and silver embroidery floss to the girdle belt. 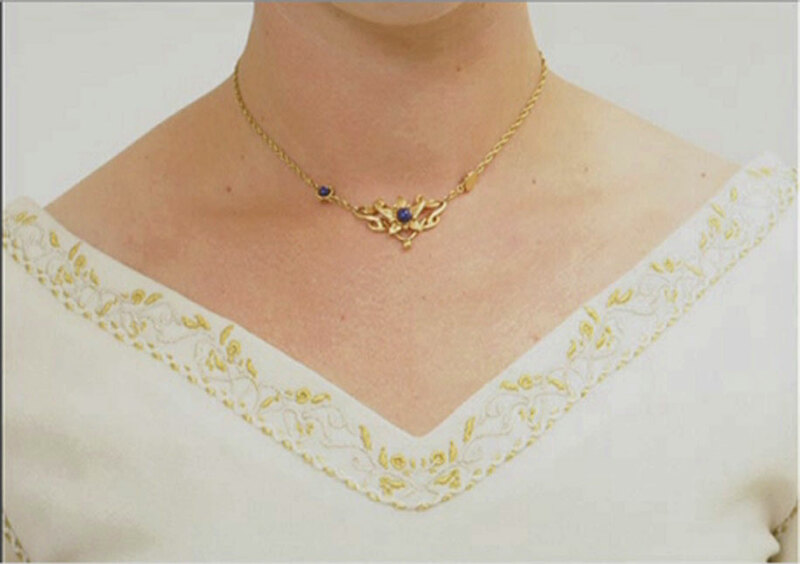 The necklace is made from fimo and brass wire. 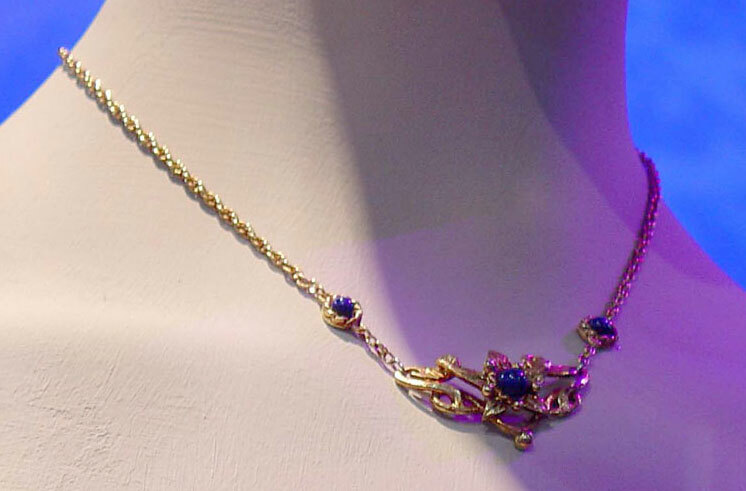 The gems are painted with blue nail polish, and the rest is covered in gold leaf. My wig is from Amphigory. Finding nice curly wigs is surprisingly difficult, and I even had problems finding a straight wig I could curl myself since I was being picky about the colour! I loved the 24B shade, which isn’t too widely available, but since I was fixated on it, I just went for the Alisa wig since it came in that colour. I was concerned the wig might be a bit short and too curly, and indeed it was. That was easily remedied by straightening out the curls a little, which reduced it to being nice and wavy, and also lengthened it a little. More problematic was that it turned out to have shorter layers at the front. Luckily, the wig was incredibly thick, so I removed some of the wefts from the back, and these were repositioned at the front to even out the shorter layers there, as well as redistributing the volume more evenly. I don’t think the style is precise, maybe if I’m ever feeling ambitious I could curl it into more accurate waves, but I’m pretty happy with it as it is, and I love the colour. Oooooo! 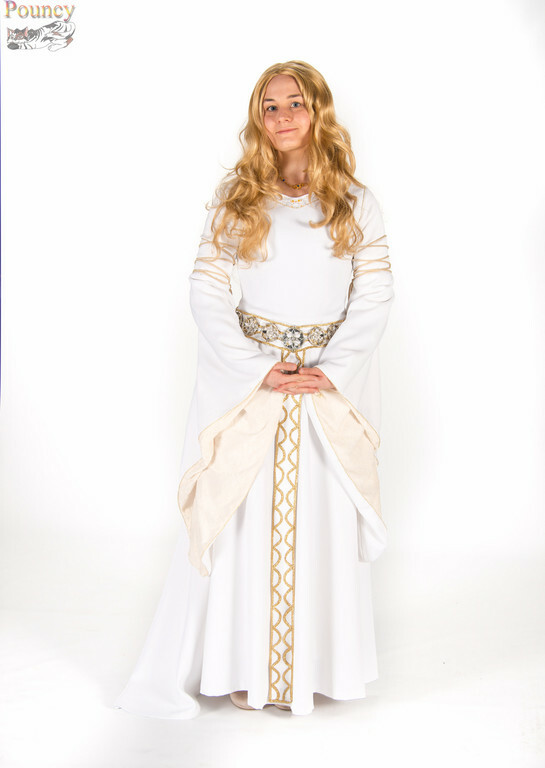 Your going to to make such a fab Eowyn. I think you'll do an excellent job. 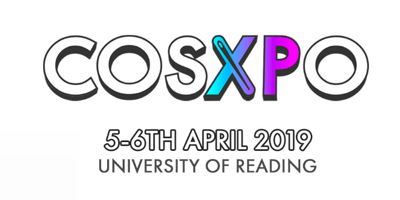 Are you doing this for the massive LOTR group for Oct Expo next year? If you are then Wheeee! I'm bringing out my Legolas for that. Oh wow I think you'll really suit Eowyn! Can't wait to see this completed! Simply gorgeous. I love the drape of that material. This is gonna look magical when it is finished. This is looking perfect. Keep up the fantastic work, I can't wait to see it finished! Really enjoying the detailed journal entries, it's very interesting to see how you're going about everything! Dress is also looking very beautiful, I look forward to seeing it. Great match on the trimming and the choice of fabric is lovely. If the original and this dress was side by side I would struggle to tell the difference, great job! wowy! still looking so amazing! OMG! Love the new photos. You look so lovely. 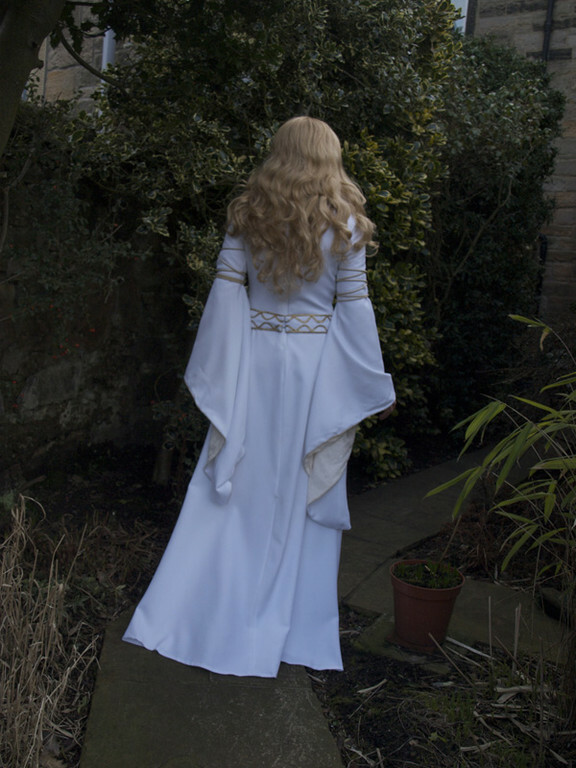 Would you be up for wearing this again in Oct for the massive LOTR group at Expo? Bloody hell, those medallions. I can see where frustration would come in but they're utterly lovely. Seeing the photo I half-assumed you'd just managed to find some similar jewellery - should have known better! You got some great photos. The dress is so beautiful and the detail you put into it is crazy! 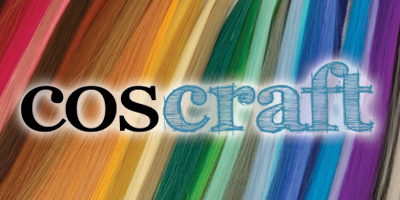 The fabrics you used are so lush. This is one of my favourite LOTR characters.You did an amazing job! Costume complete! 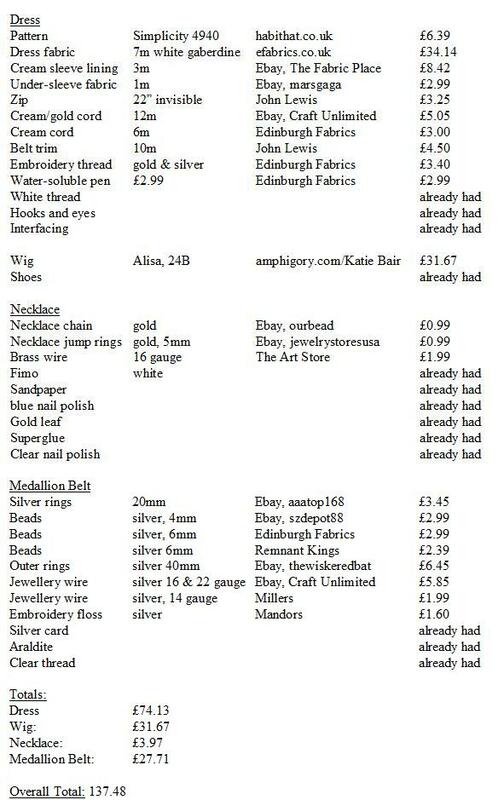 Since I kept track of it for once, I know it cost me £137.48 - the breakdown is attached as an image. 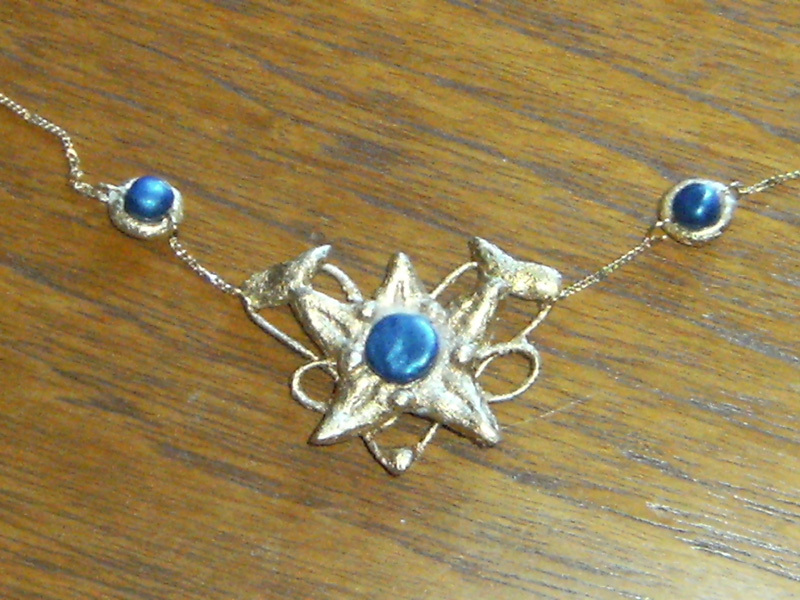 Linking the medallions together turned out to be not that easy. The links have to be so small, and trying to bend the ends of the wire together to close the loop is near impossible, especially trying to do it without damaging the medallions. Instead, I sewed all of them to the belt first with clear thread. They actually looked fine like that, which was comforting - if I didn’t find a way to join them, it wouldn’t matter. I still ended up using some silver embroidery floss, which is looped around to give the appearance of links, and also is sewn through the fabric belt to help secure the medallions. I tried to leave a bit of slack in the join so that the belt can still fold up for transportation. Not too sure how to best transport it, I think it’ll involve bubblewrap, and probably a box. 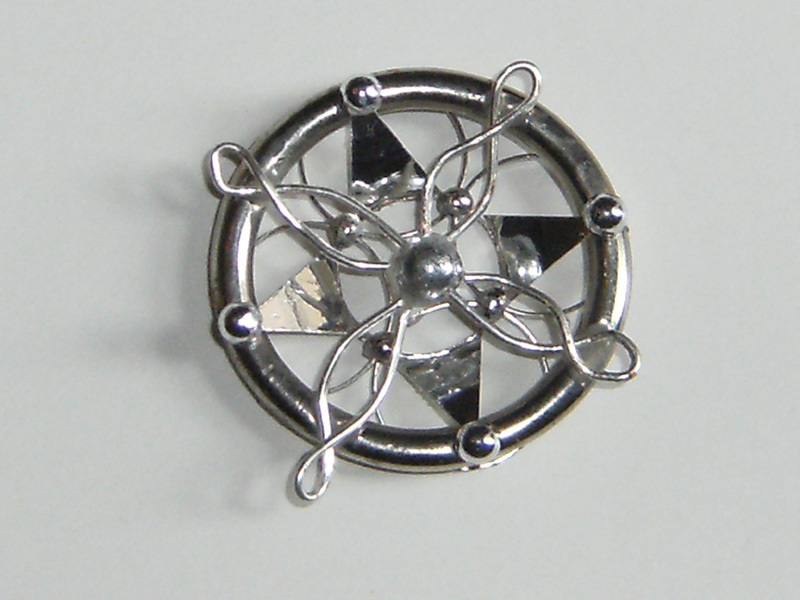 The central medallion uses the same sorts of materials and techniques as the others, but it was a bit more difficult. Step 1 The backing was cut out from silver card. Not easy because of the stupid circles, my dad hit on using sandpaper to get them neat. The card takes impressions very well, so there are random engravings done lightly with a pencil. Step 2 Thinner 22 gauge wire was shaped using same nail board as before in a slightly different way, and the beads are glued in place on it. 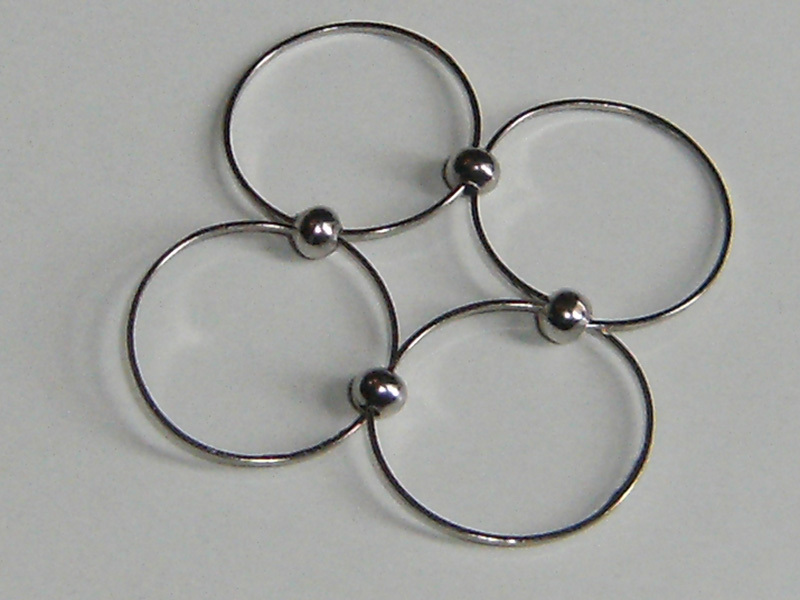 The smallest beads go on the outer points, and 4 of the medium ones are in the centre. 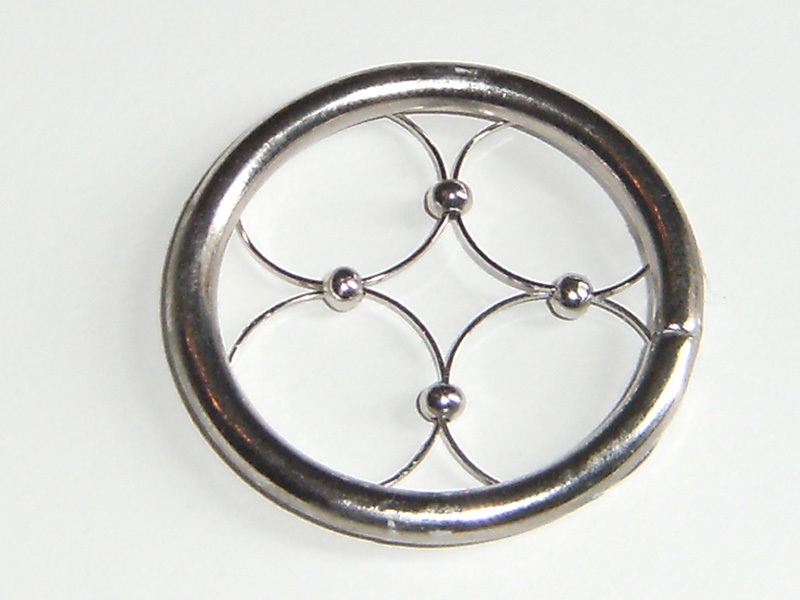 The wire forming the outer circle was bent around a tin; it‘s the same 16 gauge wire as used on the other medallions. Thicker 14 gauge wire was used for the uppermost designs. Step 3 Everything is glued together, and the card backing is also coated in some Araldite to reinforce it - especially those little points on the circumference. Complete! Rinse and repeat to make 14 of the damn things in total. When they’re all done, I think I’ll be linking them together with more bits of wire, then using clear thread to attach them in place on the girdle belt. 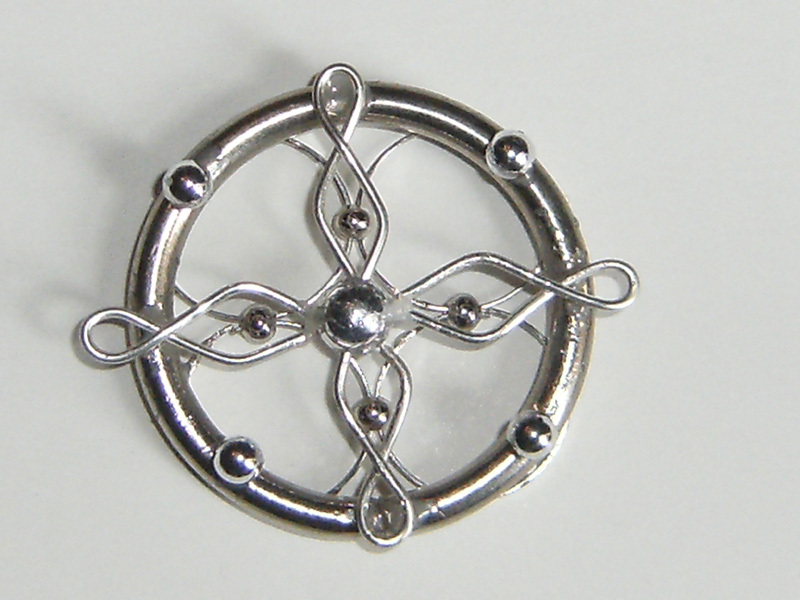 I also have to make the middle medallion, which has a different design. Thankfully there’s only one of it. A 40mm curtain ring is glued on top. I split the thin 20mm rings, and threaded 4mm beads on to them covering the joins. This was surprisingly fiddly, and sometimes the beads needed glue to hold them in place. All of these groups of 4 rings are now done. The medallion belt was the part I was dreading, so obviously I’ve left that to last! I’d studied the breakdown of the medallions, and collected together all the components I thought I’d need, but wasn’t sure how I’d actually assemble them, so just had all these beads, rings and wire sitting around for ages. Then I got my dad involved, and he did a wonderful job figuring it out for me yesterday (the solution is don’t bother with any sensible jewellery techniques, just use Araldite) and together we’ve set up a production line. 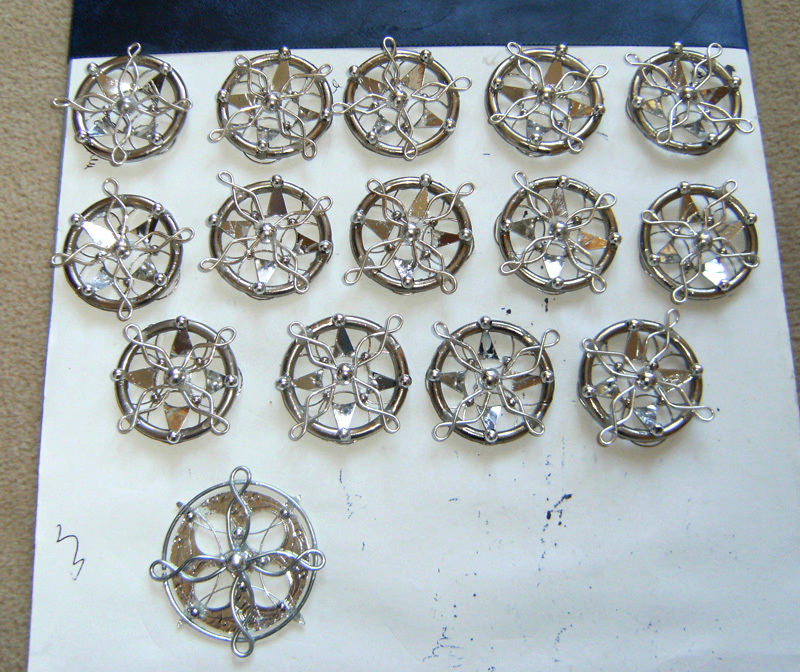 Currently there are 2 and a bit medallions assembled. 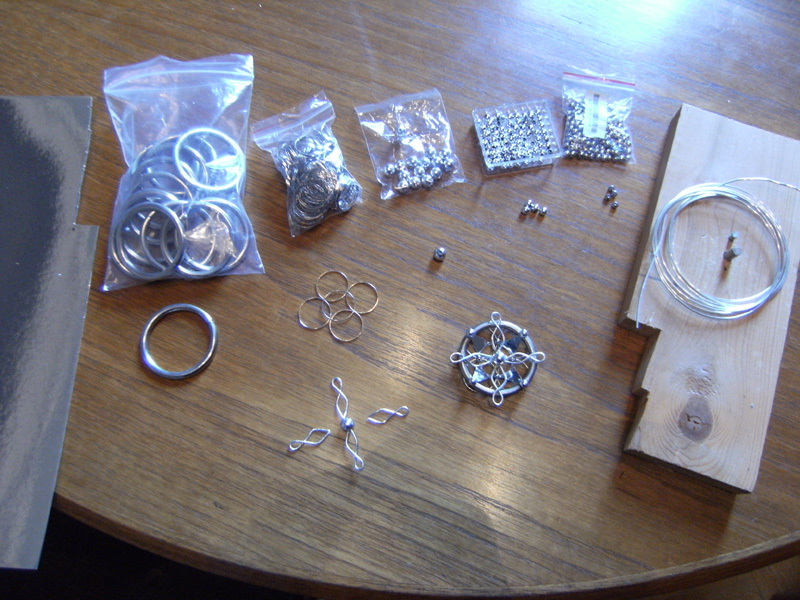 The materials shown (from left) are as follows: - silver card - 40mm silver curtain rings - 20mm silver rings	- beads which claim to be 6mm, but are somehow larger than the other 6mm ones I bought - 6mm beads which are smaller than the other ones 0_o - 4mm beads - 16 gauge jewellery wire and a nail board made up of a chunk of spare wood and a couple of nails driven through in the right places. 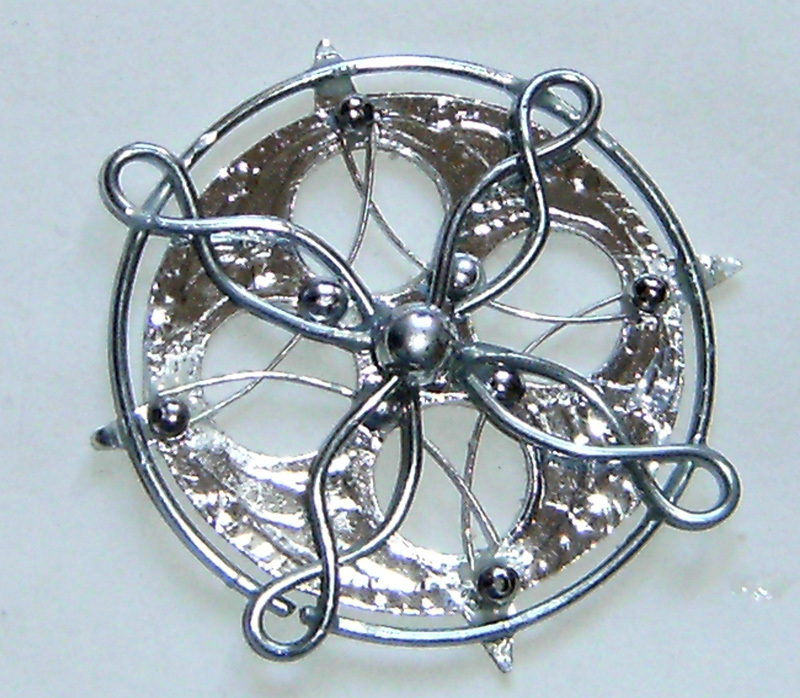 You can also see a completed medallion and an idea of the stages in making it. Not pictured: lots of Araldite, pliers, clear thread and frustration. Time for the medallions! 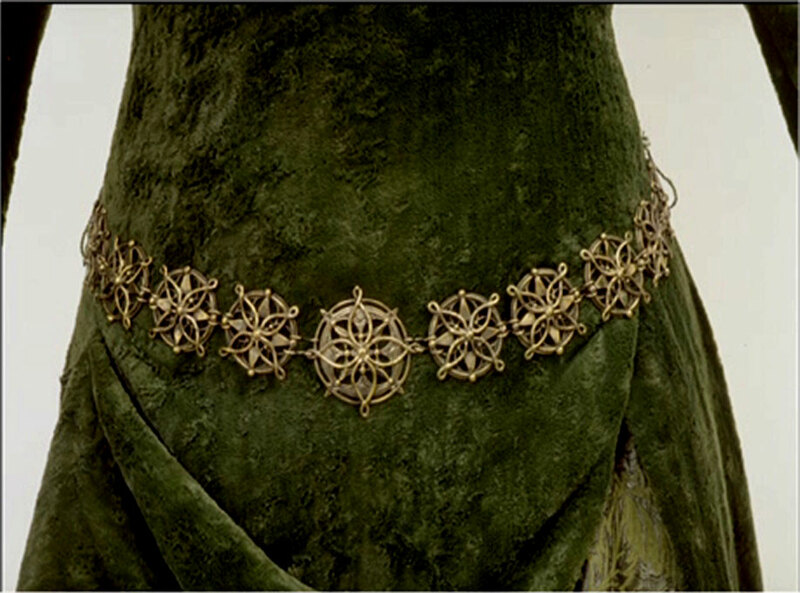 As her belts are identical on other dresses, just gold instead of silver, so they make useful, clearer references. 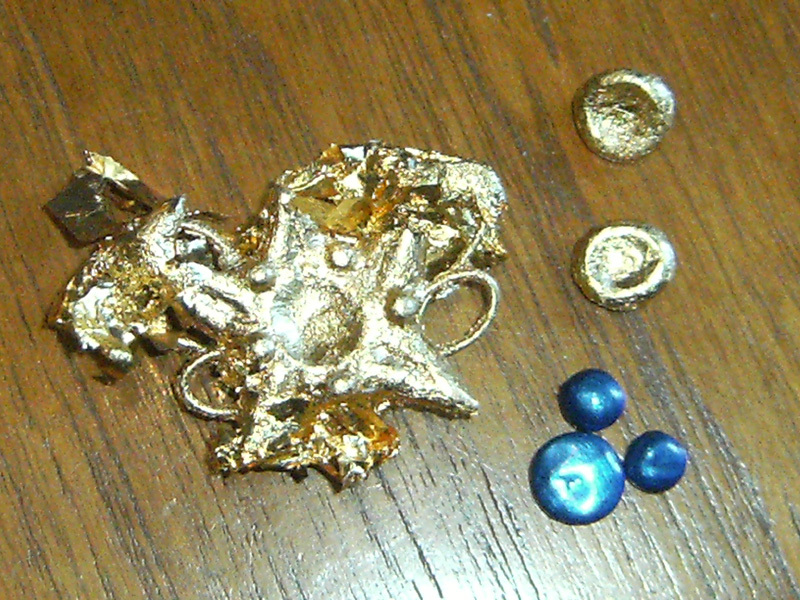 The blue gems are fimo painted with nail polish, the pieces are linked with jump rings and a chain which I took apart. It was a bad choice since it had tiny tiny links, so it was a lot of trouble to thread them on to the jump rings. I spent some time finger combing through loads of conditioner to weigh it all down and help comb it. I then used the hot water straightening method, but not to do anything dramatic, just reduce the curls a little, and even out any frizziness. I left in some conditioner after the straightening too to keep it neat. After it dried, I went on to straighten it further with a hairdryer. Mostly, I just straightened out the layers underneath, so remove more volume. The curls on the uppermost layers remain. The result is this! Definitely flatter, less curly, neater and more like what I need. If I’d known about the layering in the wig in advance, I’d probably have bought a different wig, even if I couldn‘t get the exact colour I was after. Getting a long, straight wig to curl would probably have been the best option of all for true accuracy. 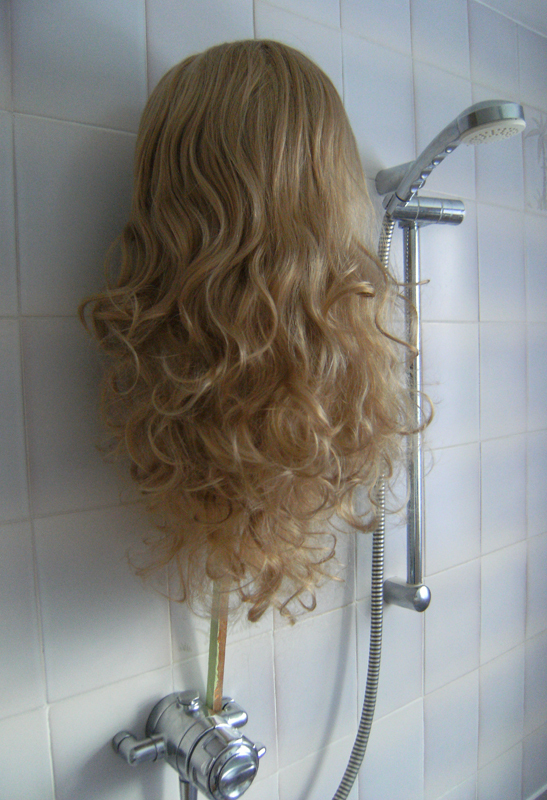 Still, this wig has turned out ok, although it’s taken more work than I’d like, I’m happy enough with the style now. I love its colour and the quality of the fibre. Maybe if I feel ambitious later I could try curling it into more accurate waves, but I’m leaving as it is for now. 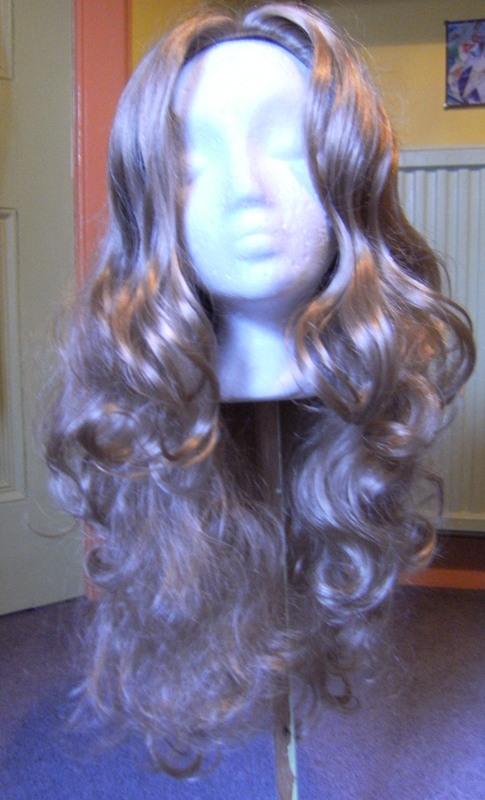 In this photo, the wefts had been added to the left side. On the right, I hadn’t yet done anything to the wig, so the shorter layers can be seen more clearly. I’ve finished styling my wig! I was concerned when ordering it that it might be a bit short and too curly, and indeed it was. That was easily remedied by straightening out the curls a little, which reduced it to being nice and wavy, and also lengthened it a little. More problematic was that it turned out to have shorter layers at the front. Luckily, the wig is incredibly thick, so I removed some of the wefts from the back, and these were repositioned at the front to even out the shorter layers there. 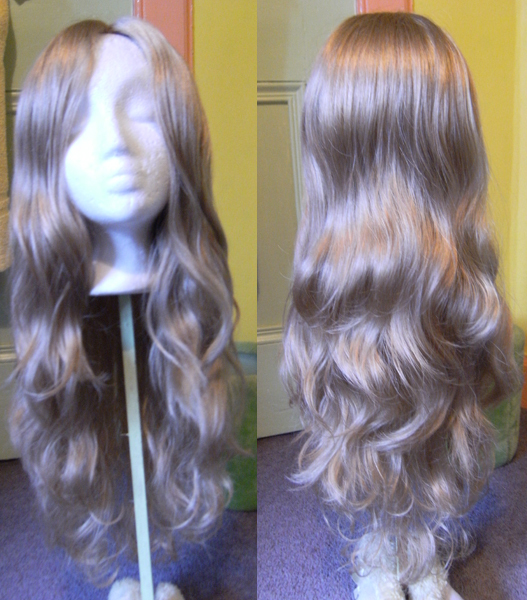 Here’s the wefts I removed, and what the wig looks like with a new gap at the back! I found the gap isn’t a problem, so I’ll probably just leave it like that. If it starts to be a nuisance, I can sew in some lengths of elastic. Embroidery is doooooone! Took about 9 hours in total, I think. And it wasn’t really an onerous task, I sometimes like hand sewing since I can do it whilst watching tv, or at least I can sit wherever I want to sew, and more easily carry on a conversation at the same time…so it wasn’t like 9 hours devoted to embroidery, it was 9 hours of films/tv/conversation I’d have being doing anyway. 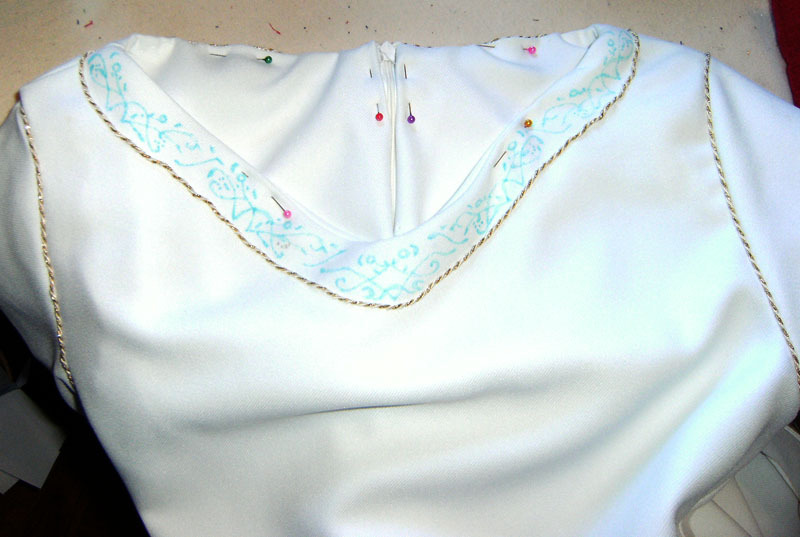 With all the embroidery complete, I could understitch the neck opening into place, then could finally close up the lining completely - I’d left it open where the zip is to make embroidering and other detail tasks easier. 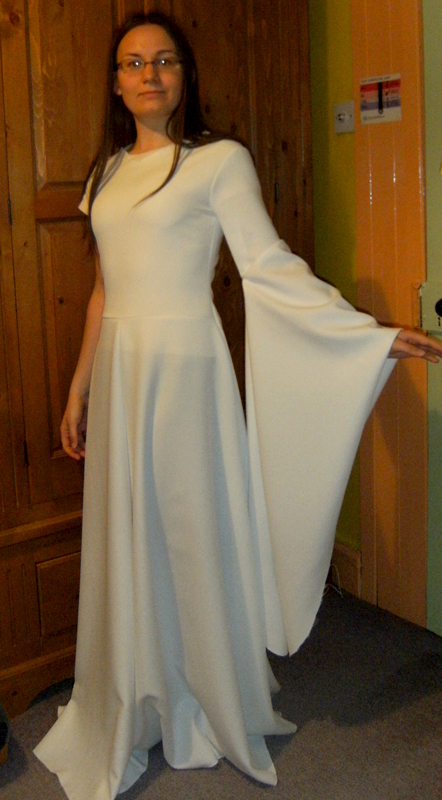 So the dress is now absolutely finished! Last night I started on the gold sections, getting one design done. This is taking a bit longer with getting the satin stitching neat…especially with the tight circle for the flowers. Embroidery progress! 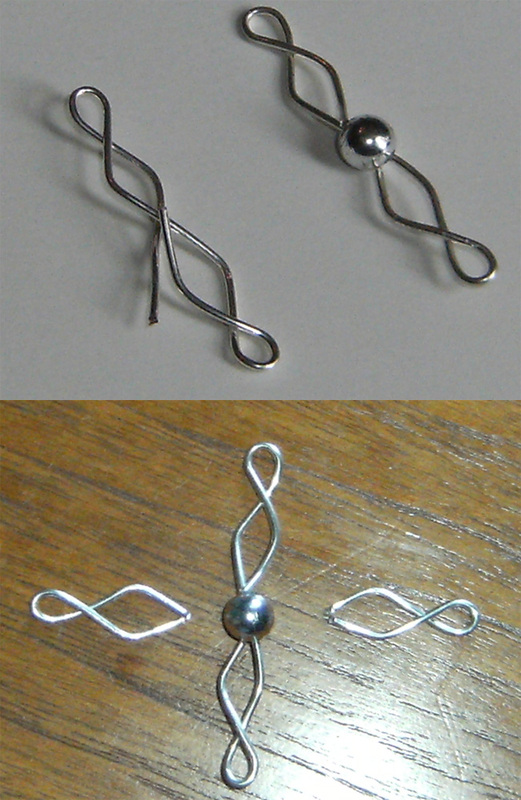 I did all the silver parts today, it took about 6 hours, which were spent in front of the tv watching a couple of films. I found the stem stitch quite friendly so long as I paid attention to which way everything was facing. 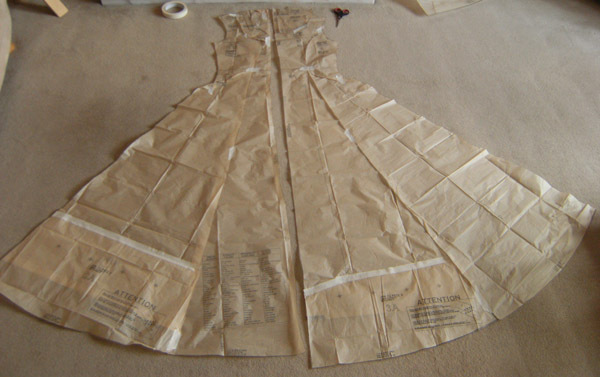 To transfer it to the fabric, I cut out my neat design, and carefully pinned it to the inside of the dress. With a bright lamp behind it, it was easy to trace the design using my water soluble pen. So I’m ready to start embroidering whenever suits me! 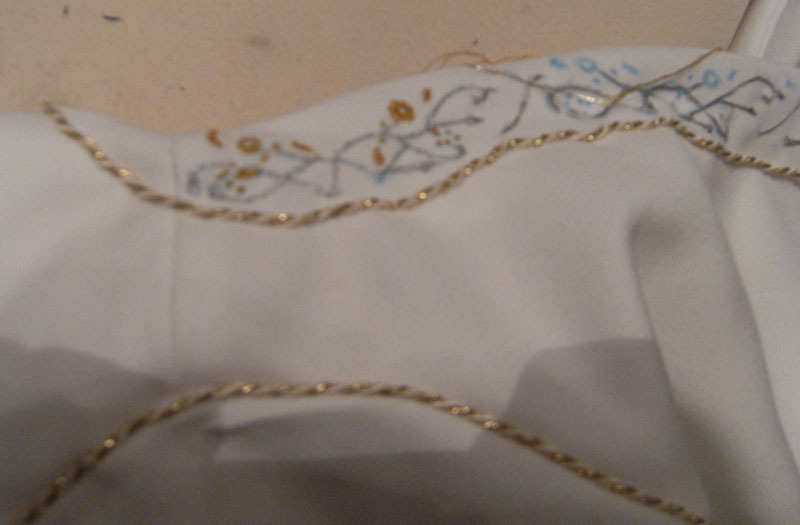 First though, I chose to add the last of the cream/gold cord, now that I knew where it had to go in relation to the embroidery. 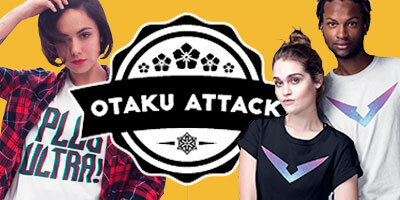 The photo shows that and the designs I’ve drawn out for an idea of how the finished thing will look. I think the cord looks a bit wobbly there, but it stretches out a bit when I wear it and ends up even. Also, the lining hasn’t been all sewn up and understitched so is all rubbish and pinned for the purposes of the photo. I’ll probably undo the stitching along the v-neck as well to make it easier to embroider. 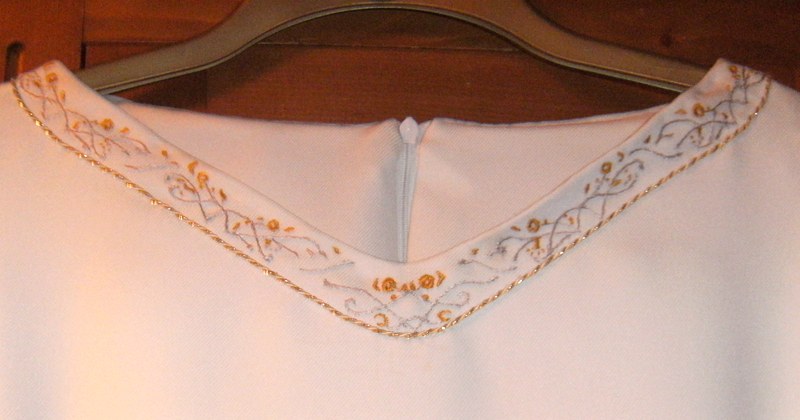 Gold and silver embroidery around the neckline, outlined in the cream/gold cord. I’ve been preparing for the hand embroidery around the neckline (preparation is always the boring part) I printed off the design from the lotr costume site, experimenting to get it the right size, then printed it again mirrored for the opposite side of the neckline. I had to figure out and draw the middle section myself. That gave me the design spread over three separate bits of paper, so to make it easier to trace the design onto the dress, I photocopied it to get a more convenient single piece. 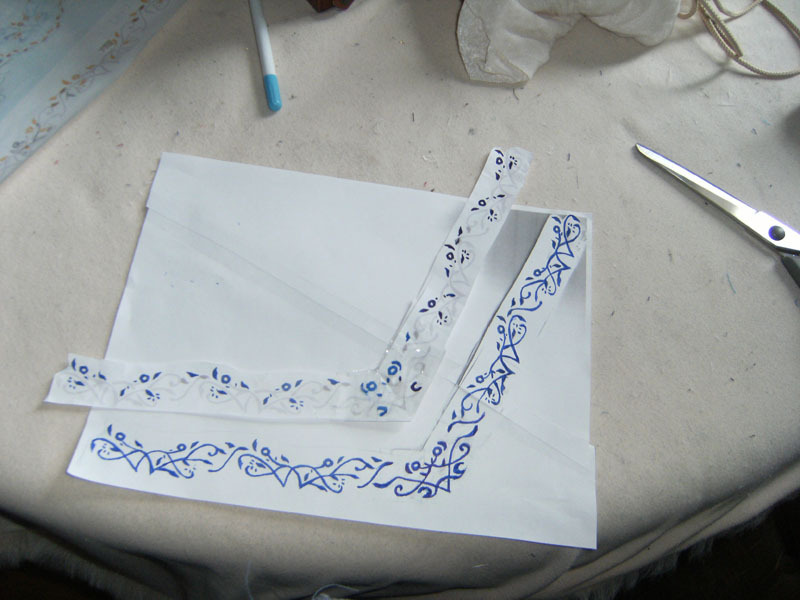 I then went over the design with a pen to make it very clear for showing through the dress fabric. The photo shows that neat design I used for the tracing. The second design above it is the messier one I initially taped together. I’m going to use it as my colour reference when I’m embroidering - the bits that need done in gold have been marked on it. I got round to buying the cord for the upper sleeves (6m for £3). At the moment I’ve only attached it at one point to the sleeve, and otherwise just left it wrapped round and tied. It only takes a little arranging to get the lacing positioned correctly when I put on the dress, but I might consider tacking it into place more thoroughly if it’s not too problematic. With that cord out of the way, I’ve now bought everything I need for the dress. The only remaining things to buy for the costume will be for the accessories - the necklace and medallion belt - which hopefully won’t be much. My total spent on the costume at the moment is £107.30. That’s £31.67 on the wig, and £75.63 on the dress. Here's a good view of the cord wrapped around the upper arm, as well as the cream/gold cord which runs around the sleeve openings, armscyes and neckline, as well as lacing up the under-sleeves. I’ve finished the last bit of machine sewing - the belt thing. I used the same gabardine as the dress, with added interfacing. It looks a little off in the photo since I'm not wearing it, and ironing would probably help, but you get the idea. Planning out all the designs first took a while. I’ve had it sitting around for a couple of weeks now, as I’d occasionally get round to doing some more measuring, marking and pinning, then get fed up! The vertical skirt part was easy, I counted the number of designs on the actual dress, and found the size they’d need to be to fit on to the length of my skirt. That was the simple bit, but whether the proportions would actually work out was another matter - what if I had to make curves too small in order to fit enough in? But amazingly, using the right number of designs produced curves which looked about the right size as well, so maybe Miranda Otto is about my height? I'm just delighted that it worked out perfectly first time! The horizontal hip section was a bit more problematic, since it’s hard to count exactly how many designs there are. I was assuming it was identical to the skirt section, but wanted to check. 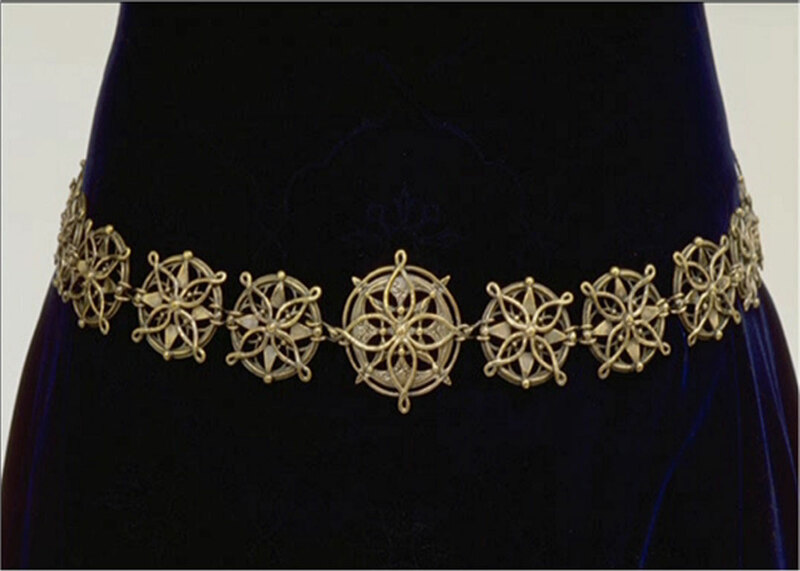 Eowyn wears a medallion belt over the fabric part, and the medallions correspond to the gold trim designs. The usually amazing lotr costume site was amazingly wrong this time, suggesting that there are 24 medallions… which is not possible. To fit in 24 medallions, and allow for gaps between them, they’d need to be about the size of a 10p coin! Also, elsewhere on the site, it’s suggested that the medallions are about 2.5” in diameter, which is quite the contradiction. So I chose to ignore whatever the actual number of medallions may be, and just go with a size that looked correct. My medallions are going to have a 4-5cm diameter, and there’ll be 16 of them. I think on the real belt, there can’t be more than 18 medallions, so I should be about right. In applying the medallion size to the fabric belt, the hip section ended up having identical measurements to the skirt part, which is what I was planning to do anyway. After all that effort with maths, I had to mark out where all the trim needed to go, using a circular tin as a template for the curved lines. I drew on the interfacing on the reverse of the fabric, then with a bright light behind it, I could pin the trim in place on the correct side. I liked this method since it let me doodle away on the interfacing and experiment without having to worry about anything showing. Actually sewing down the trim went very quickly, even though I used almost exactly all of the 10m I bought! With the curved trim sewn in place, I lined the pieces, then sewed the long straight strips of trim down, which acted to topstitch the lining in place as well. There are hooks and eyes at the back as a closure, and belt loops, made from a thin cream cord inserted into the side seams of the dress. As well as those, I decided to put a snap in the centre front to ensure it stays in position. I’ve also been applying the cream/gold cord. It goes around the sleeve openings, the armscyes, and around the neckline. It’s the same stuff I used to lace up the under-sleeves. 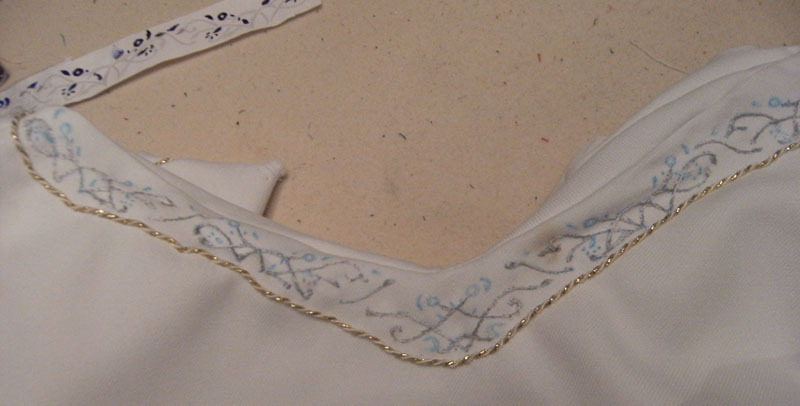 The sleeve parts are all done, but I won’t do the neckline until I’ve marked out the embroidery designs. And the embroidery is what I’ll be starting on next, I bought a water-soluble pen to mark out the designs today (it cost me £2.99, so it had better be a damn good pen) Apart from the embroidery, I still need to get cord for the upper sleeve lacing, and once all that’s sewn down, I’ll be able to close up the lining, and that’ll be the last of the sewing. 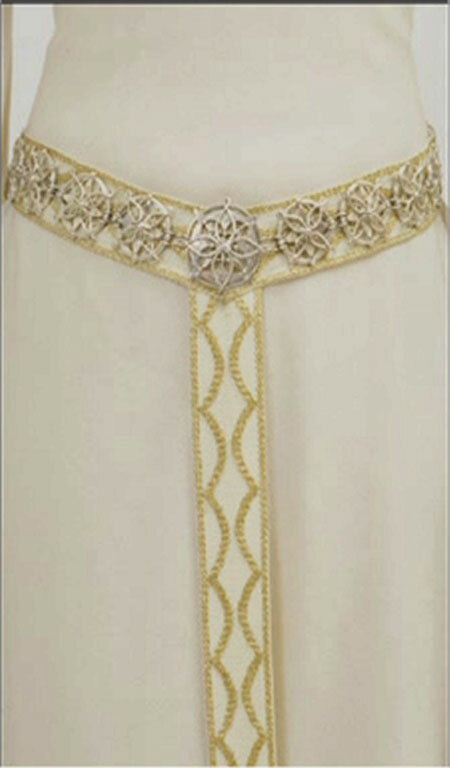 Girdle belt with gold trim, and silver medallions around the waist. In some images it seems to be cream, or just parts in cream, but I decided to keep mine all white. These are the boots I don't like and decided not to bother with! With my under-sleeves done, I could sew them and the main sleeve lining into the rest of the lining, and that was it complete. With all my lining assembled, I went ahead and sewed it into the outer dress. I’ve left the back open just now, and I also might need to open up the neckline again to let me more easily apply the cord by hand and do the embroidery later. So here’s the completed basic dress! One sleeve’s folded back to show its lining and under-sleeve. The dress had also been hemmed; I did it by hand for a blind hem finish. The film dress is so apparently seamless that I wanted to continue the effect by avoiding any topstitching…not that anyone will notice, but I do like invisible hems. 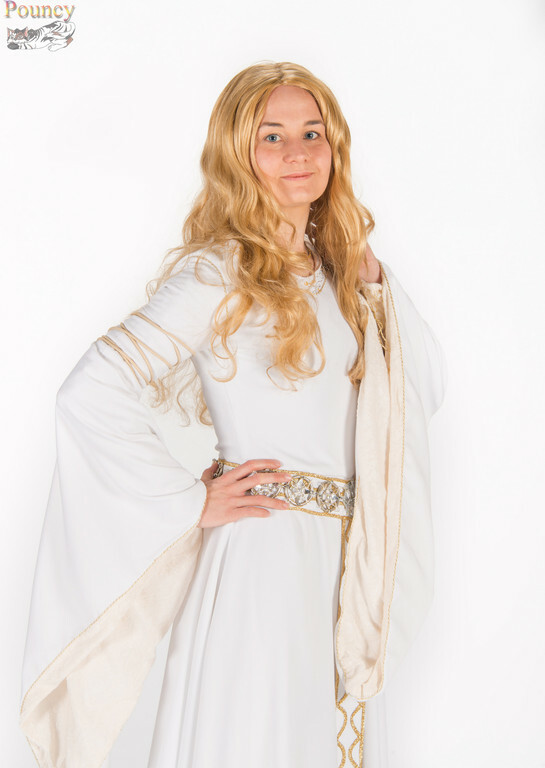 I decided I would wear white sandals I already owned with the dress, since the shoes were never really going to show, and if they did, the white sandals would match the outfit reasonably well (and most importantly, I don’t like the boots Eowyn wears). So I hemmed the dress allowing for the heels on those shoes. It’s just above floor length at the front, with a small train at the back I think I’m going to sew a hook and eye, or a wee loop of cord and button higher up, which will let me to bustle the train. White dress dragging on floor = recipe for grime. The idea is I can have the dress all super-long if I want to, with the train down, and if I also wear flat shoes, that’ll make the dress even longer for the accurate more-than-floor-length look…which I doubt I’ll want to do too often, but at least I have the option. Then if I want it to be more practical, I can wear the heeled shoes, and bustle the train up out of the way. And here’s the undersleeves laced up on my arm. 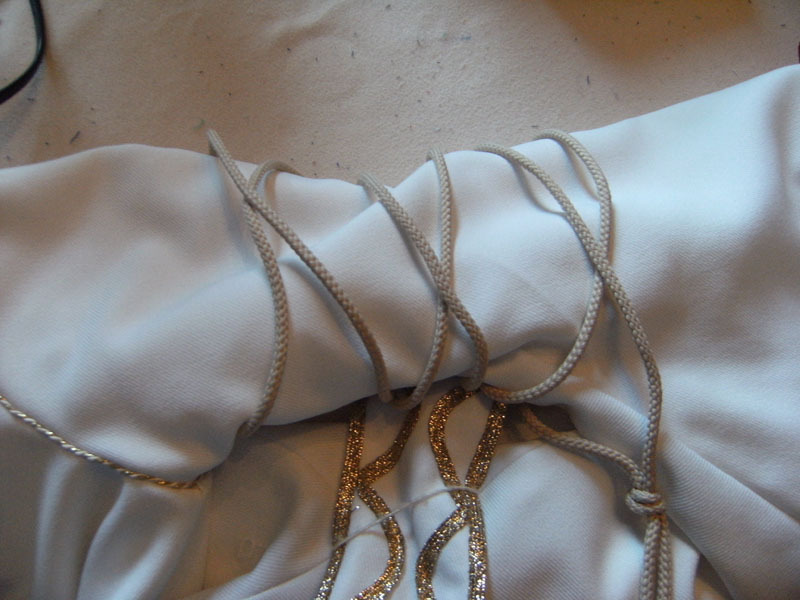 The cream/gold cord used to lace them up will be handsewn elsewhere on the dress - around the sleeve openings, the armscyes and neckline. 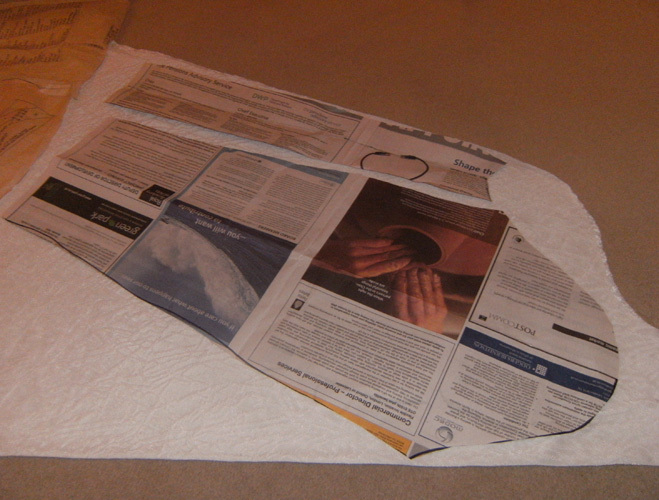 Using my newspaper pattern, I cut the pieces out of both fabrics, and basted them together in the seam allowances. I then assembled them with French seams, which encase the lacing loops I made out of cream cord. The cord is actually a shoelace! The gold mesh fabric I ordered arrived at the start of the week, letting me complete my under-sleeves. They were the only thing preventing me from finishing off the whole dress lining, so I was stuck waiting on that fabric before I could do much more! 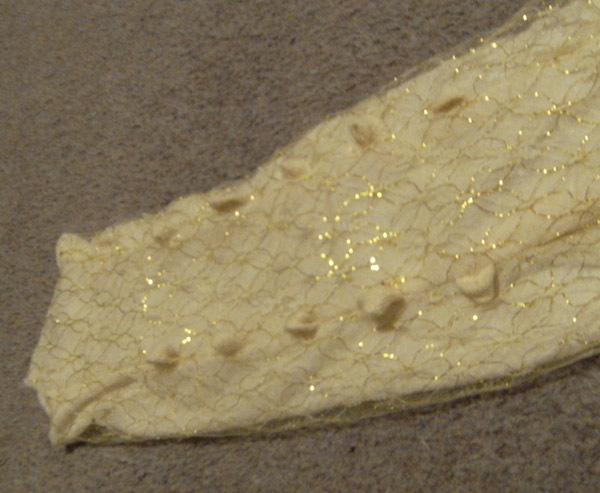 To make them, I used the same cream patterned lining fabric as elsewhere, but with an overlay of gold mesh. These sleeves have to lace up, and it looks as though the lacing loops are inserted into seams or darts. That seemed a convenient way to go about it, so courtesy of the Sunday Times (which helpfully is still printed in broadsheet!) I altered a sleeve pattern to have two pieces, which gives me two seams on the underside of the sleeve. The dress has it’s spiffy big sleeves, but also what I’m calling the under-sleeves, which are closely fitted to the arm. Since my last update, the dress has been finished up, raw edges overlocked and seams pressed. With those final touches, that was the dress done, sans lining. As for the lining, my sleeve lining fabric arrived on Wednesday. It’s exactly what I hoped it would be like - it’s a thin cream fabric, with a raised velvet pattern on it, which gives it a nice texture. The photo shows it (with and without flash) sewn into the sleeve openings. Although it’s perfect for the sleeves, where it will be visible, I wasn’t sure how suitable it would be as a lining for the rest of the dress, but gave it a shot anyway. The fabric wasn’t expensive, and I could squeeze all the lining pieces out of 3m, because the skirt didn’t have to be very full. After assembling the lining and trying it on underneath the outer dress, it turned out the raised patterns on the lining fabric show through on the bodice, since it’s closely fitted. Luckily on the sleeves and skirt it’s fine since it’s loose enough there. So I only had to find some alternative fabric for lining the bodice. To save me having to buy more fabric, I decided just to use some of my spare gabardine for that section. Why didn’t I just do that in the first place? I didn’t want to line the whole dress in more gabardine because I don’t have enough left for that, and it’s an awkwardly thick and heavy option for a lining. Using a mixture of lining fabrics has worked out as a good compromise, saving me money, and having something to suit each section of the dress. The cream fabric shows at the sleeve openings, and will be used for the under- sleeves too. Using it for the underskirt as well means if that ends up showing at all there, it’ll seem as though I have an entire matching dress underneath, just as the under-sleeves imply on the real dress. As for the bodice, the neckline required a gabardine facing anyway, so it wasn’t much of a jump to line the rest of the bodice in white too. To cut the lining, I used the same patterns as for the main dress (obviously), cutting the bodice identically, but reducing the size of the skirt quite a bit in order to squeeze it out of a smaller amount of fabric. It’s taken a bit of time to sew the bodice because of needing to make the same alterations I made when I made the outer dress. I didn’t anticipate requiring a lining, so just altered the dress to fit and shaped the neckline as I went along, rather than spending more time altering the pattern. That meant I now had replicate all the changes I’d previously made. The lining is now assembled apart from sewing in the sleeves - I can‘t do that until I make the under-sleeves, which will be sewn into the armscye at the same time. I also won’t be able to completely sew the lining into the dress anyway, because I’ll probably want to keep the neckline open to make it easier to do all the embroidery and other detail work first, so the lining is going to have to sit around for quite a while! 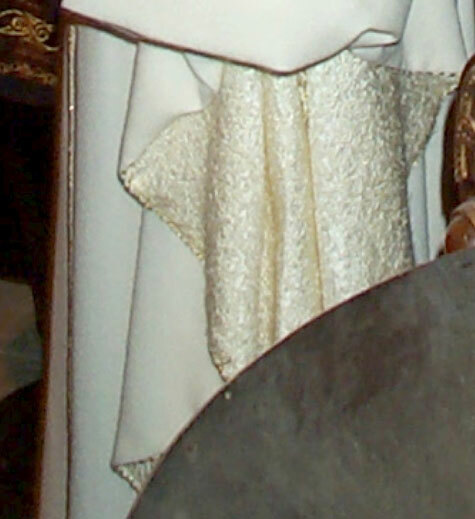 The sleeves are lined in some kind of textured, patterned cream fabric. The fitted undersleeves are made from the same fabric. Not much time today, so just sorted out the pattern pieces. The pattern is probably more effort than it’s worth, considering all the effort I’ve put into rearranging the seams! But once I knew what the seams on the real dress were like, I couldn’t not copy them. The film dress has side seams and a seam down the centre back. There’s also a seam at the waist, and a seam at the centre front of the skirt. The pattern is princess seamed. I wouldn’t have minded additional seams in the skirt, which wouldn’t be obvious in the folds, but I dislike the idea of having extra seams on the bodice, when the film dress has minimal seams, and none visible at the front at all since the belt conceals them. I used masking tape to stick a few of the pattern pieces together to eliminate the princess seams, fudging the shape a bit, and I also cut the pieces to give me a waist seam. The shape can be smoothed out when I actually cut my fabric. 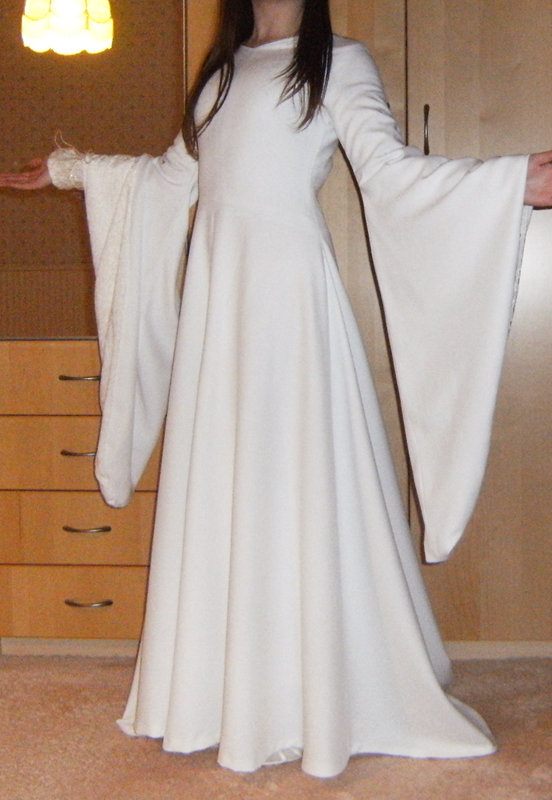 Then I had to reshape the neckline, since the pattern is a knock-off of Eowyn’s green gown, which has a different collar. I’ve just designed the pattern so I can cut the neckline to shape once the dress is assembled. Finally, I taped the sleeve pieces together to remove an unnecessary seam there too. I intend to extend the sleeves a little when I cut them out too. It was all easier to do than I expected. I cut out the initial pieces a size larger, because I was concerned that all the overlapping involved in removing the princess seams would make the pieces too small, but turned out I had nothing to worry about, because the pieces I ended up with were enormous! So I had to trim the pieces down to the correct size for me anyway. I don’t have the curves that make princess seams useful, so taking them out and losing some of the volume in the bust is no issue. I didn’t have time to cut out the pieces today, but I tested out a pattern layout to make sure my new, larger pieces would still work out. I had nothing to worry about here, since I have 60” wide fabric, and the pattern is intended for 45”, so the new pieces till fitted no problem. Fabric and pattern arrived, sparing me from further thought about the medallions! Didn’t have time to do much today except study the pattern and figure out how the pieces will need altered…unfortunately they need more work than I’d anticipated, due to the princess seams I'd previously failed to notice. Oops. Waiting on my fabric and pattern to arrive, so worked on the belt medallions instead, and established my ideas were not working. I would like to find a way to cast them, because making that many intricate pieces individually would be insanity, and I dislike making accessories and props at the best of times! Her belts are identical on other dresses, just gold instead of silver, so they make useful, clearer references.